Originally an old textile factory established in 1914 and a separate shop and farm built by Johan Natanael Ramm in 1844, Vertshuset Røros is comprised of the adjacent buildings creating a unique lodging experience with two distinct interiors. 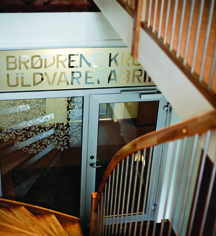 The space of the former businesses was converted into 38 comfortable guestrooms and apartments displaying the industrial history of Bergstadens, with rich traditional Røros furnishings in Rammgården and clean modern lines in Uldvarefabrik. Delicious and fresh, The Restaurant at Vertshuset Røros is passionate about incorporating eco-friendly regional ingredients and free-range grass-fed animals in their Mediterranean cuisine with touches of traditional flavors while using modern techniques. Equally impressive with rich decor and original wood panelling and brick walls, facilities at Vertshuset Røros include two meeting rooms with audiovisual equipment available and the warm and lively Rammkjellar'n Pub. 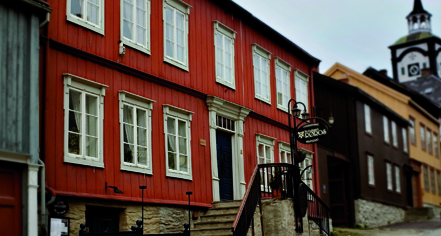 Vertshuset Røros, a charter member of Historic Hotels Worldwide since 2012, dates back to 1844. The hotel features its own brewery, The Rammkjelleren, which was once a bank vault. Originally an old textile factory established in 1914 and a separate shop and farm built by Johan Natanael Ramm in 1844, Vertshuset Røros is comprised of the adjacent buildings creating a unique lodging experience with two distinct interiors. Learn more about the History of Vertshuset Røros .